Quicklook has been around for a while and I harness its abilities to help me with my Mac admin life. Apple advertised it for PDFs, images, and text files, however we admins can partake in the marketing highlight as well. Below are a few of my favorite QuickLook plugins that I’ve been using for years. Thankfully they still function. Some have stopped development but are still available and going strong 7 OS revisions later. QLStephen – Nothing fancy. But it does let you view plain text files that don’t have a file extension. It is useful for reading files like README, INSTALL, CHANGELOG, Makefile, etc. Scriptql – shows AppleScript .script files. Getting rarer but good to have in a pinch. QLColorCode – syntax highlighting of code and plist files. Very handy for peeking in on .plists as the syntax is color coded. Suspicious Package – My favorite. 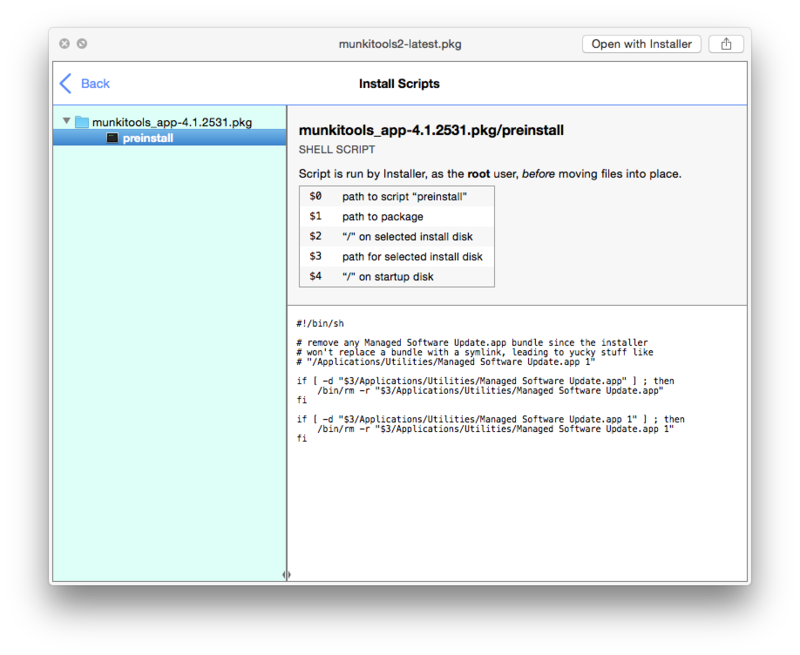 It opens up .pkg and .mpkg installers to show the payload, scripts and other meta data about the installer. 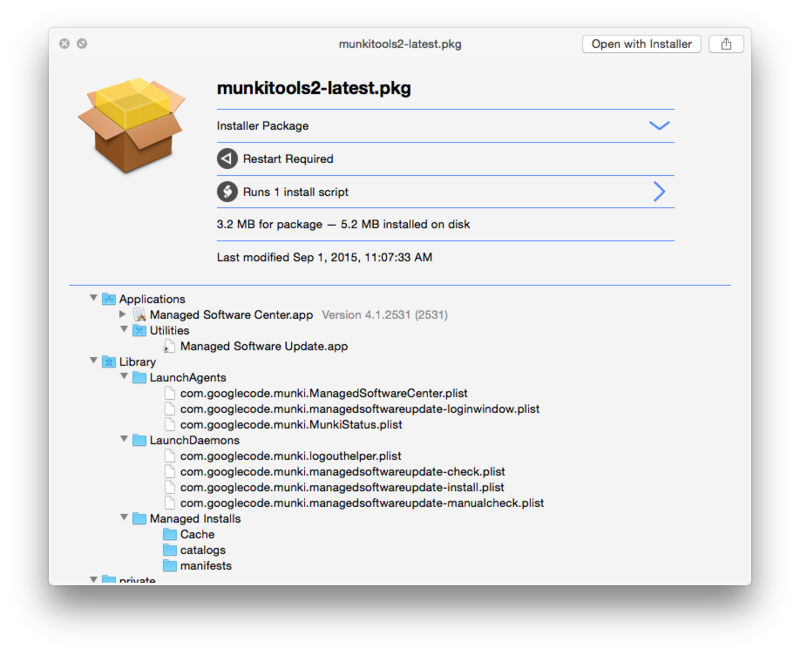 It’s saved me so much time being able to peek in on an installer without having to deep dive into it. I highly recommend it for anyone messing with .pkgs. Please share your favorites in the comments. The following repo has a few additional plugin that I use frequently. The quicklook-csv is super handy. Hey, that’s awesome. Wonder why it’s not the default. Thanks for some of the links here, I surfed on in here looking for better compatible MS Office 2016 quicklook extensions. The previews of creatively formatted documents are generally a mess. I wonder why that is anyway. If anyone has a tip please share! A mess as in how? Do you have a sample file and or screenshot of the quick look?